When retired East End villain Charlie Archer is murdered by a feral street gang, his brother Ritchie returns to London from Spain to investigate. Well, this really was a complete waste of time. 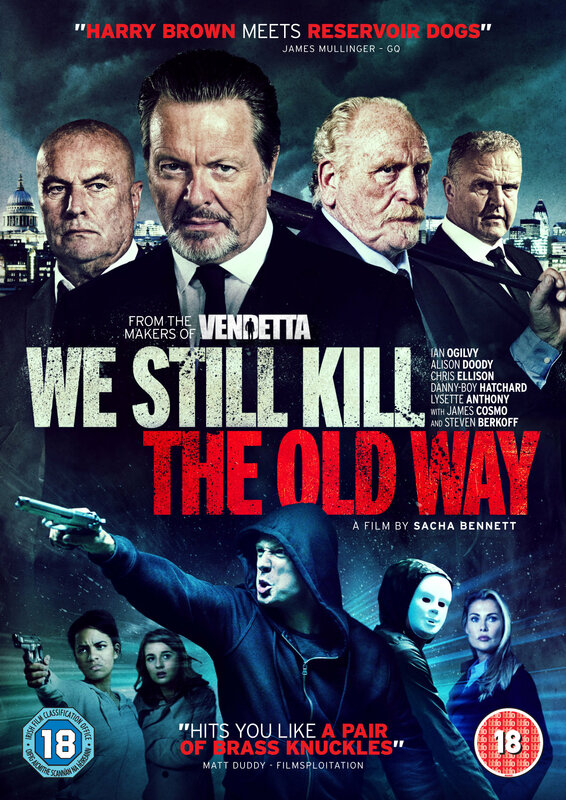 Dialogue and plot clunkier than Long John Silver's wooden leg, embarrassingly poor acting from everyone, a script full of holes and coming across like an old Etonian's never-been-there view of London street gangs, lor-luv-a-duck East Enders, and retired gangsters. Not a single character is believable, deep or sympathetic, let alone menacing. Not a single cliché is too trite to escape. The film can't make up its mind whether it wants to be grittily violent or wryly humorous, and as a result misses both by a mile. Ian Ogilvy simply hasn't got what is needed to carry the main role, and the rest are frankly just walking through their lines. The gunfight in the hospital at the end is hopelessly badly directed, slow when it should be fast and vice versa. Sadly inept. Look I get it. There is a 10 star rating for a reason, and I'm all for it. But ultimately it comes down to one simple question: Would you watch this film? Did you enjoy it? And that's where this film annoys me. It annoys me enough to stop it 2 minutes before it's over, get my arse off the couch, walk over to my PC and write a review. No, this film is not worth watching. It's crap. You know when you read the story synapsis that this is not going to be Oscar worthy, but it is crap. The problem is, it's not crap enough to give up watching it after half an hour. It makes you chuckle, maybe 3 times, and the British accents make you believe there might be just the odd twist that you wouldn't get to expect in an American movie. But trust me, it's shite. No, it's not hilariously violent. No, there are no cool one liners. It's a stereotypical movie to a degree where that in itself becomes almost a quality of the film. The acting is crap, the story is as crap as it gets, and yet there's still a little light here and there that keeps you going and makes you think "hey maybe this is going to be worth my time". Honestly anyone's entitled to their opinion, and yes James Cosmo is one cool fornicator of mothers, but if you actually enjoyed this film you probably are the sort of person whose heart rate peaks staring at a fishtank for 2 hours. Which is good for you, but you might want to mention that in your review. For all you normal people out there: Don't watch this film. You'll watch it, you'll think that guy who wrote that review there was a gobshite and it's not that bad, and then, when the film is finally over, you'll hat to admit that you agree. And then you'll feel stupid.